Many Scots cynics, upon seeing the title of this new coffee table volume by our most famous actor, might be inspired to enquire just how much research on the subject can be done by an ex-pat who hasn't lived in the country for decades. It's an accusation which the SNP-supporting Connery constantly has to contend with, but this retirement project - written with documentary filmmaker Murray Grigor - goes some way towards demonstrating that 'Scottish' is just a state of mind. It's an odd kind of work, a lengthily-researched piece of historical non-fiction which muses on Scotland's art, architecture, sport and humour. 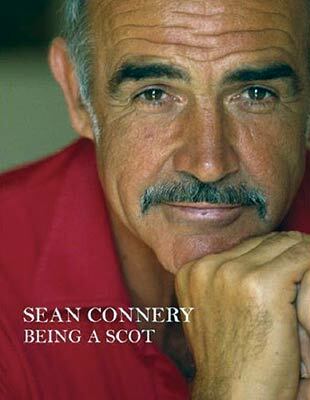 On every other page there are anecdotal asides from Connery concerning his career, his experiences and Edinburgh upbringing. Quite obviously pitched at an international audience (the word 'Scotch', almost unforgivably, is used at least once as an adjective), it's still heartening to see that Connery can't separate his own biography from that of his country.